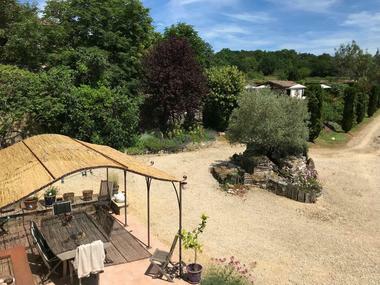 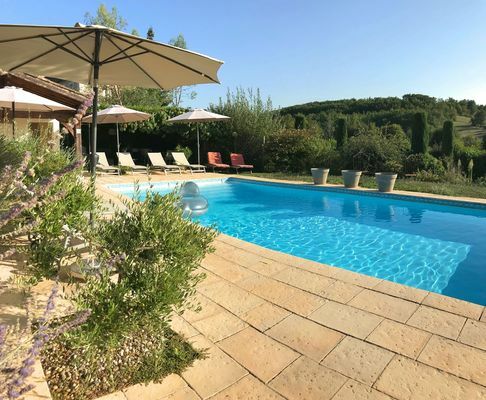 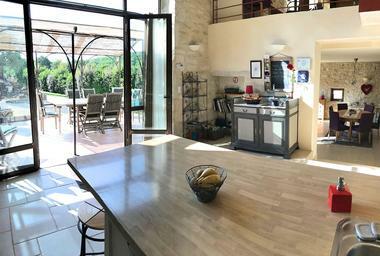 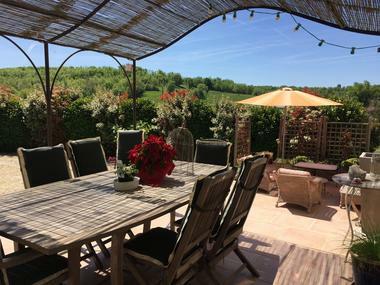 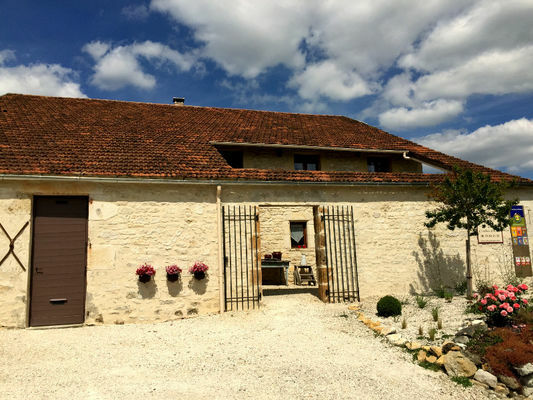 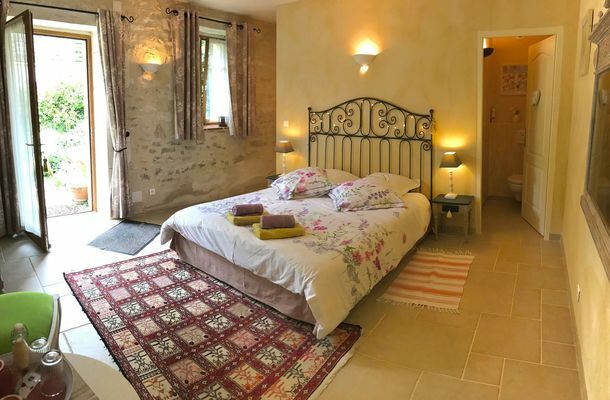 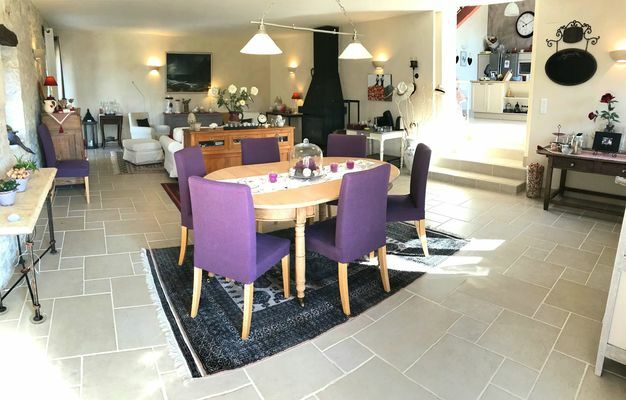 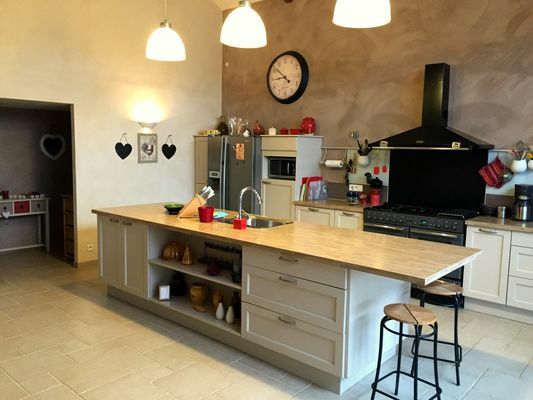 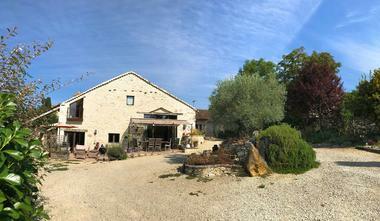 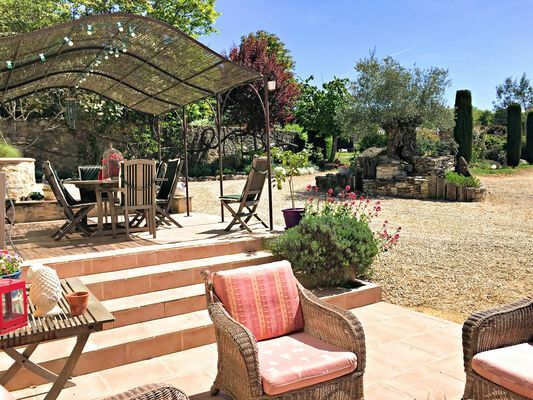 In the Lot valley, surrounded by the Cahors vineyards, the Domaine Côté Granges is the perfect place for enjoyable holidays with family or friends. 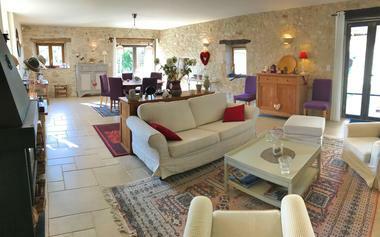 This high-class property can take up to ten persons, with its five bedrooms and five bathrooms. 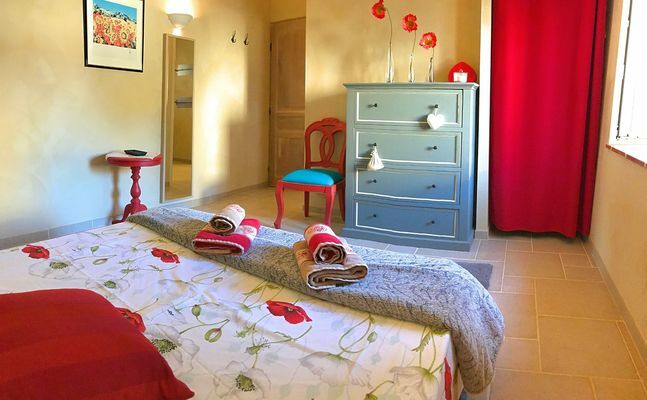 Our "extras" : beds made up before your arrival, bathroom towels provided, wifi in all the accommodation, large heated swimming pool with safety features, four televisions; private spaces for everyone, given the configuration of the property.